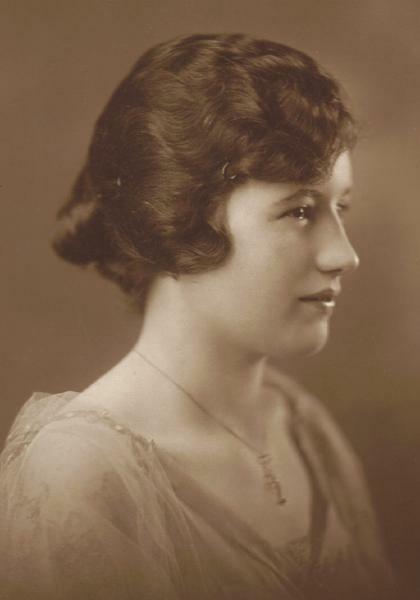 Eleanor Louise Wright was born on 21 June 1900 in Toronto, York County, Ontario, Canada. William Cornelius Foster Wright and Hannah Hayes appeared in the 31 March 1901 census of Canada in East Toronto, York County, Ontario, Canada. Other members of the household included Eleanor Louise Wright. A photographic portrait was made of Stanley and Eleanor Wright, about 1905. 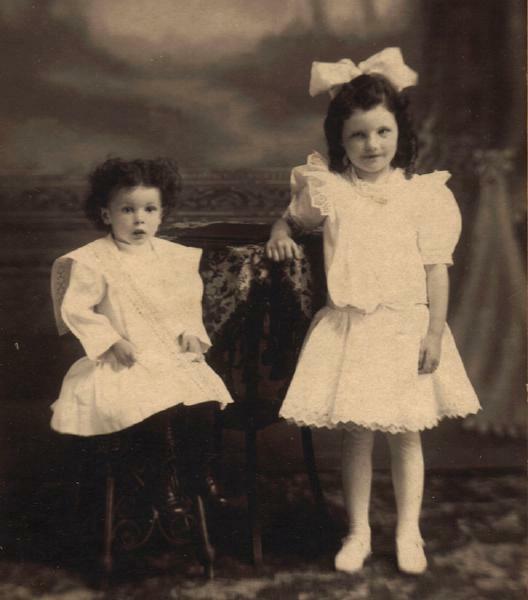 Hannah Wright and daughter Eleanor were photographed about 1910. William Cornelius Foster Wright and Hannah Hayes appeared in the 1 June 1911 census of Canada in Mimico, Ontario, Canada, at Pidgeon Avenue. 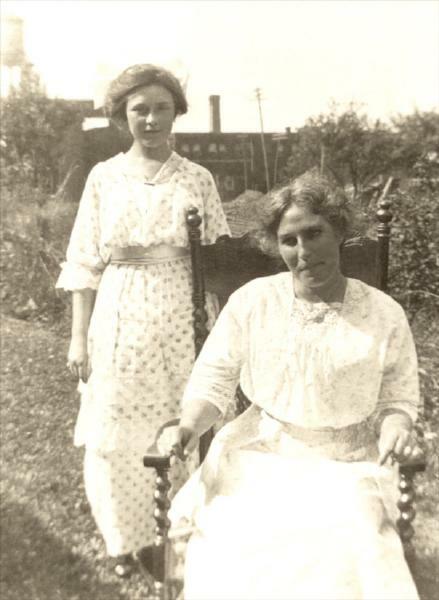 Other members of the household included Eleanor Louise Wright, Stanley Hayes Wright. Photographed on the back steps of the Wilson home, are Dorothy Gorman Ingraham with her husband "Red," and her uncles Pete Wilson and Harry Hayes, and cousin Eleanor Wright, about 1923. She married Russell Allen Hayworth, son of James Harvey Hayworth and Mary Etta Allen, on 25 July 1925 in Mimico, Etobicoke, York County, Ontario, Canada, The marriage was witnessed by Stanley Hayes Wright and Dorothy Edna Gorman. 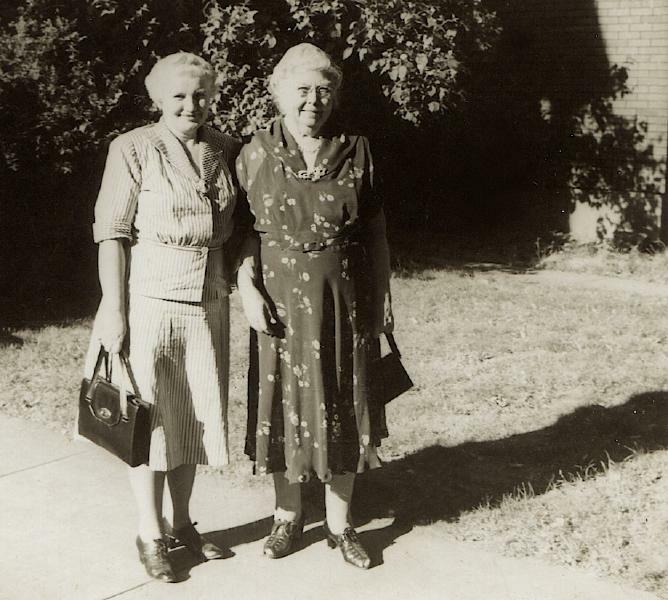 A snapshot was taken of Eleanor Wright Hayworth and her mother's sister Louise Hayes Wilson, about 1950. Eleanor Louise Wright became a widow at the 12 February 1972 death of her husband Russell Allen Hayworth. Eleanor Louise Wright died on 6 December 1992 at age 92 in Toronto, Ontario, Canada. She was interred at Parklawn Cemetery, Etobicoke, York County, Ontario, Canada. The following appeared on 7 December 1992 in the Toronto Daily Star: At North York General Hospital, Sunday, December 6, 1992, Eleanor [Louise] Wright, in her 93rd year. Beloved wife of the late Russell Hayworth. (Longtime Residents of Symons St., Mimico). Dearly loved mother of Allen and his wife Barbara of Islington and Wayne and his wife Suzanne of Thornhill and also lovingly remembered by grandchildren Ross, Carole, Mark, Glenn and Brian. Mrs. Hayworth is resting at the G.H. Hogle Fumeral Homes Ltd., 63 Mimico Ave., Mimico, from Tuesday 1 p.m. Fumeral Service in the chaptel Tuesday 2 p.m. Interment Park Lawn Cemetery, Toronto. In lieu of flowers, donations to a charity of your choice would be appreciated.